How to manage the Launcher, add, and remove apps. The Happeo Launcher is an application catalogue that is shared to all users in the organisation. Adding a launcher item will make it visible to all organisation users in the catalogue. The launcher items need a name and URL to open. The icon is automatically fetched from the url if possible, but admins can also add their own icons. Adding a description will help in finding the application in search. 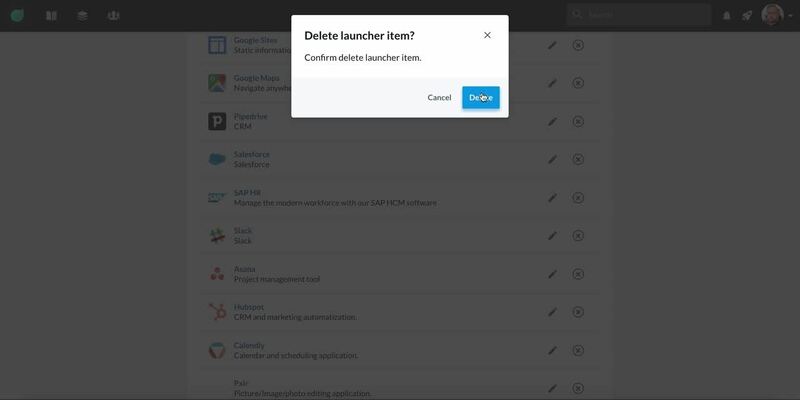 Find out more about managing your own personal Launcher applications here.